Art of Food Plating. 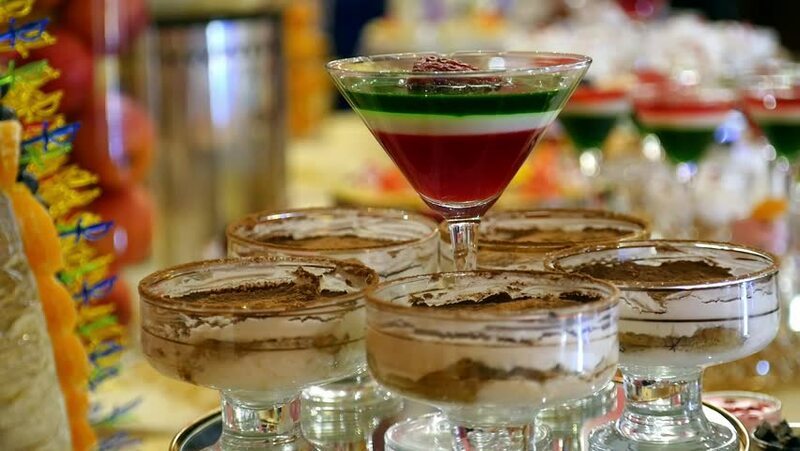 multicolored sweet dish fruit dessert jelly and souffle in glass. wedding celebratory dinner. slide movement. concept of profession chef. hd00:09Multicolored candies in glass candy jars. hd00:16Food table arrangement prepared for Halloween party.